My first serious encounter with my calling as an ezer happened in the middle of the night. It was around 3:00 a.m., and it changed my life. I wasn’t tossing and turning in bed, but wide awake, pouring over books, smuggling volumes out of my husband’s study, and searching for answers. I felt like a detective and I knew I was onto something. For years I had been troubled by interpretations of Eve that left me and a lot of other women out in the cold. I was looking for answers, but I was not at all braced for what I was about to find. God could have given any number of labels to the woman. He chose ezer, which in English Bibles is translated “helper.” Kenegdo is translated “suitable” or, as in older English translations, “meet,” which explains how we ended up with “helpmeet.” This in turn has led to interpretations of the woman as the man’s assistant, wife, mother of his children, and manager of their home, which as we’ve noted excludes some 60 percent of females in this country alone. How many millions of women and girls are we leaving out worldwide? Focus on the wife as her husband’s helper has led to the belief that God gave primary roles and responsibilities to men, and secondary, supporting roles to women. It has led to practices that communicate that women are second class citizens at home and in the church. None of this is true. There is nothing second class about God’s vision for his daughters, and the ezer holds the clues. For starters, kenegdo needs rehabilitating. “Suitable” can be taken a lot of different ways that don’t do justice to the meaning of this word. Kenegdo indicates the ezer is the man’s match — literally, “as in front of him” — as Ying is to Yang. I love how Victor Hamilton puts it: “[Kenegdo] suggests that what God creates for Adam will correspond to him. Thus the new creation will be neither a superior nor an inferior, but an equal. The creation of this helper will form one-half of a polarity and will be to man as the South Pole is to the North Pole” (emphasis added). Long before I started digging, scholars tallied up the twenty-one times ezer appears in the Old Testament: twice in Genesis for the woman (Genesis 2:18, 20), three times for nations to whom Israel appealed for military aid (Isaiah 30:5; Ezekiel 12:14; Daniel 11:34), and here’s the kicker — sixteen times for God as Israel’s helper (Exodus 18:4; Deuteronomy 33:7, 26, 29; Psalms 20:2; 33:20; 70:5; 89:19 [translated “strength” in the NIV]; 115:9, 10, 11; 121:1 – 2; 124:8; 146:5; Hosea 13:9). This last piece of information created quite a stir as you might imagine, prompting the upgrading of ezer from mere “helper” to “strong helper.” What followed was a divided (and at times heated) discussion over the meaning of “strong” — How strong is strong (a debate yet to be resolved)? Remarkably, even Eden fits this pattern, for although some may balk at the thought, it is fair to say that even the idyllic garden of Eden was a war zone. The command to rule and subdue put God’s image bearers on high alert that fierce resistance lay ahead. God commanded the man to keep, or guard, the garden by using the same military language later used for the cherubim who guarded the garden with a flaming sword — a primeval light saber — after Adam and Eve are evicted (Genesis 3:24). The reason, of course, is that a powerful Enemy is already plotting an attack. 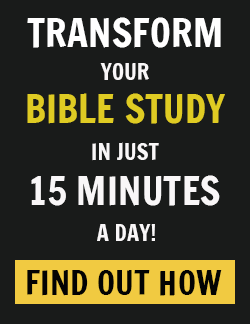 Putting the facts together, isn’t it obvious that the ezer is a warrior? And don’t we already know this in our bones? God created His daughters to be ezer-warriors with our brothers. He deploys the ezer to break the man’s loneliness by soldiering with him wholeheartedly and at full strength for God’s gracious kingdom. The man needs everything she brings to their global mission. Other factors confirmed my conclusions. Of course, the strength God brings as ezer to His people should be sufficient to convince us that as ezers we must be strong, resourceful, alert to the cries of the needy and oppressed, and proactive too. Support for the ezer-warrior comes from other Bible passages that use military language for women. Both Ruth and the Proverbs 31 woman are called women of valor (hayil). 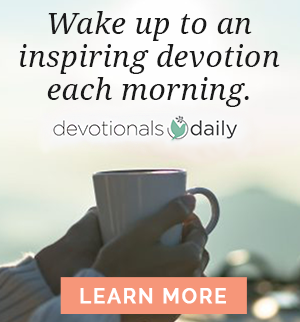 Paul rallies believers, both men and women, to “put on all of God’s armor” (Ephesians 6:10-17) in preparation to do battle with the Evil One, reminding us that our battle is “not… against flesh-and-blood enemies” (Ephesians 6:12). Thinking of the ezer as a warrior is entirely consistent with how Scripture views us. Reading through one of those tedious genealogies (passages we tend to skim when reading through the Bible), I spotted ezer again… in men’s names! Believe it or not, men in biblical times were called Eli-ezer, Abi-ezer, and just plain Ezer. Don’t you think it’s odd that Jewish fathers would name their sons Ezer, especially since this word applies to women? Even more odd considering Hebrew parents gave names to inspire, not to embarrass their children. Even in recent history, evidence is strong that the name Ezer still carries a lot of weight. Ezer Weizman (1924-2005), a tall, colorful, larger-than-life figure, was an Israeli military hero. He built an international reputation as a fighter pilot, commander of the Israeli Air Force, a world leader involved in Middle East peace negotiations, and Israel’s seventh president. I doubt if anyone made fun of a man like that because his parents named him Ezer. Descriptions of the woman as dependent, needy, vulnerable, deferential, helpless, leaderless, or weak are — to put it simply — wrong. Such definitions betray cultural biases and I fear a deep-seated misogyny. The ezer is a warrior. Like the man, she is also God’s creative masterpiece — a work of genius and a marvel to behold — for she is fearfully and wonderful made. The ezer never sheds her image-bearer identity. Not here. Not ever. God defines who she is and how she is to live in His world. That never changes. The image-bearer responsibilities to reflect God to the world and to rule and subdue on His behalf still rest on her shoulders too. God didn’t create the woman to bring half of herself to His global commission or to minimize herself when the man is around. The fanfare over her is overblown if God was only planning for her to do for the man things He was perfectly capable of doing for Himself or didn’t even need. The man won’t starve without her. In the garden, he really doesn’t need someone to do laundry, pick up after him, or manage his home. If Adam must think, decide, protect, and provide for the woman, she actually becomes a burden on him — not much help when you think about it. The kind of help the man needs demands full deployment of her strength, her gifts, and the best she has to offer. His life will change for the better because of what she contributes to his life. Together they will daily prove in countless and surprising ways that two are always better than one. 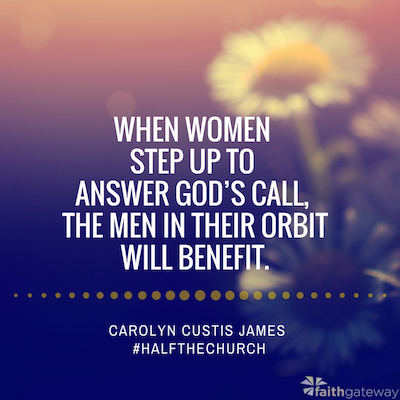 Excerpted with permission from Half the Church by Carolyn Custis James, copyright Zondervan. Join the conversation on our blog! We’d love to hear your thoughts about the name Ezer!